This wedding was a fun loving couple. Their wedding was in Coeur d' alene, idaho. When photographing their wedding I knew that the photos had to be a bit dramatic. 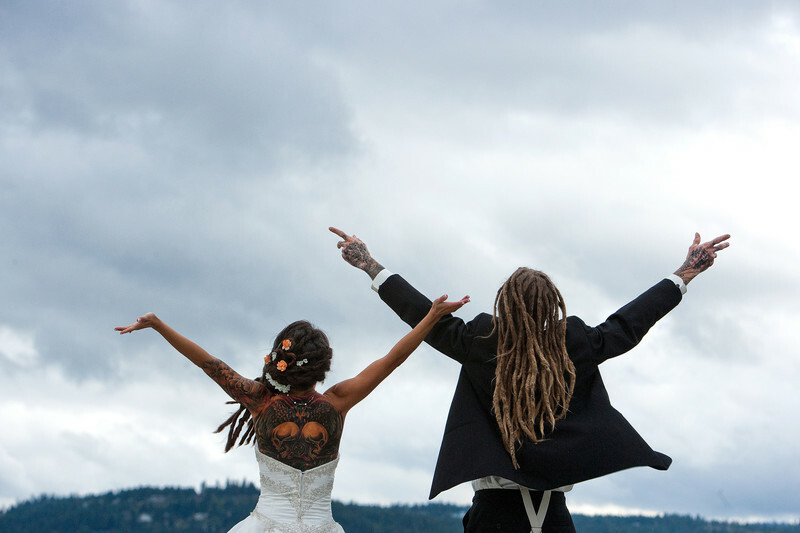 Keywords: Dreadlock Bride and Groom (3).